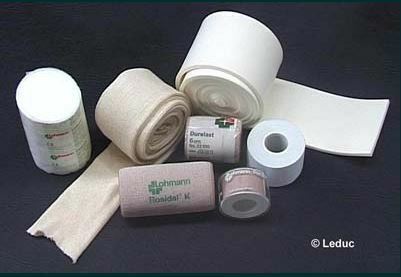 3 rolls of 10 cm-wide short stretch compression bandage. 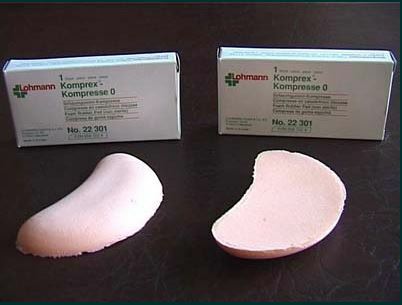 2 kidney-shaped foam rubber pad. 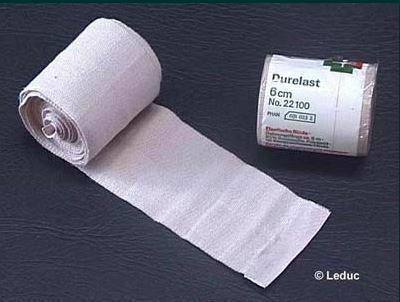 Stockinette : a cotton made butular bandage. This stockinette is placed around the limb to absorb sweat and avoid the direct contact of the foam with the skin. Stockinette must be applied without folds. 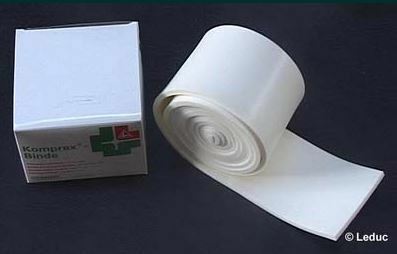 Occasionally, a bandage type cellona may be applied below the foam bandage in order to protect body prominences or tendous. 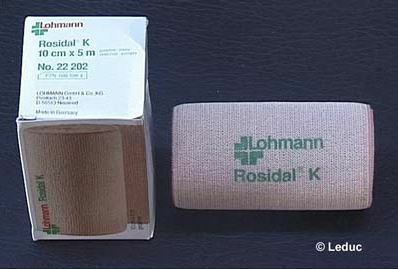 These bandages are covering the stockinette. They are applied on a circular mode with 50 % overlaping. The foam must cover the limb and end more proximally than the edema. To put on both sides of the ankle. 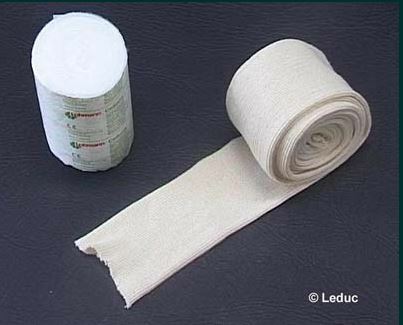 The short stretch bandage is applied on the foam on a circular mode with 50% overlaping or spica according to the localization. 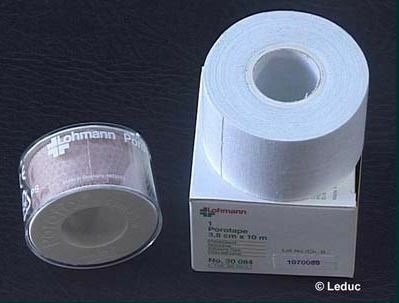 Smooth the bandage with your hand. Apply using an even tension. Several layers are placed around the limb in order to get a rigid bandaging generating low pressure. Same technique than above with Rosidal K. The choice between Durelast and Rosidal K is guided by the availability of the products on the market.